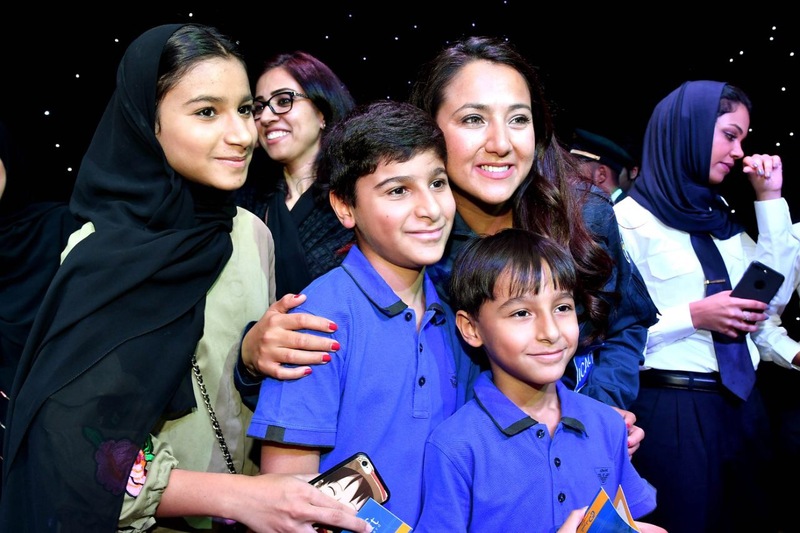 Check out this powerful news article sharing Shaesta’s visit with over 200 schoolgirls in Kabul, Afghanistan organized by the UNDP and Kabul Department of Education. During Shaesta’s travel in Dubai, she had the opportunity to visit the Emirates Aviation College and fly a Boeing 777 simulator! Check out this video and this article here! With a high need for flexible accommodations, Dreams Soar is always grateful for those organizations that can fit our needs. 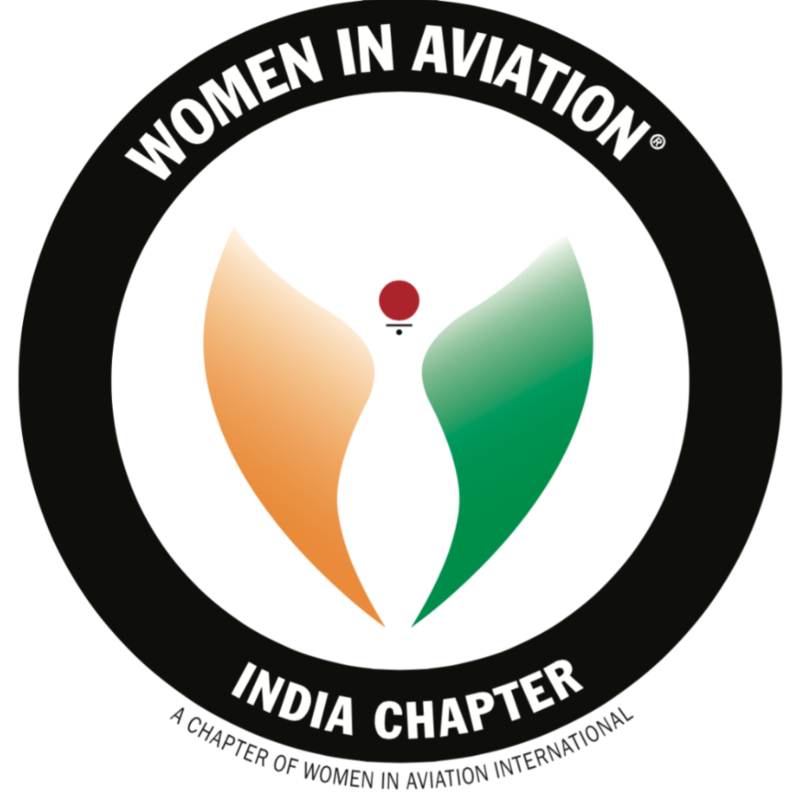 We would like to thank Bird Group and Women in Aviation International (WAI) India chapter for their support during the outreach efforts in Mumbai. 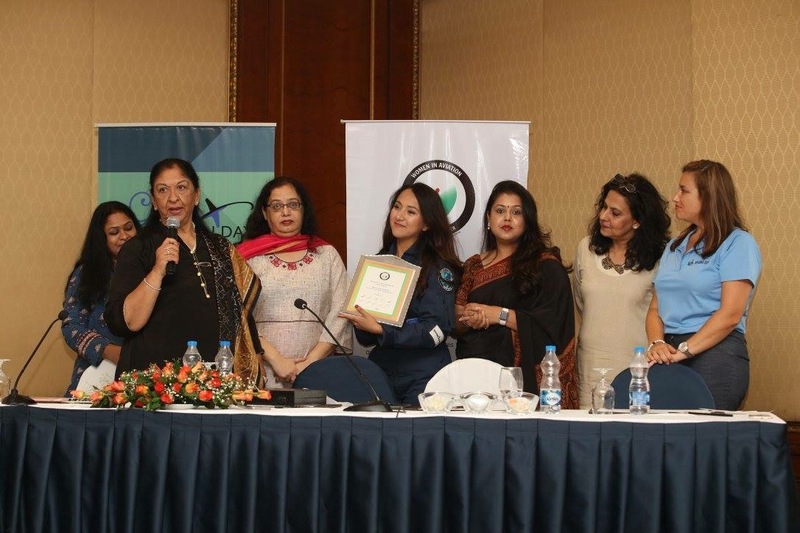 Both groups are led by Radha Bhatia, president of WAI India chapter and chairperson of Bird Group. 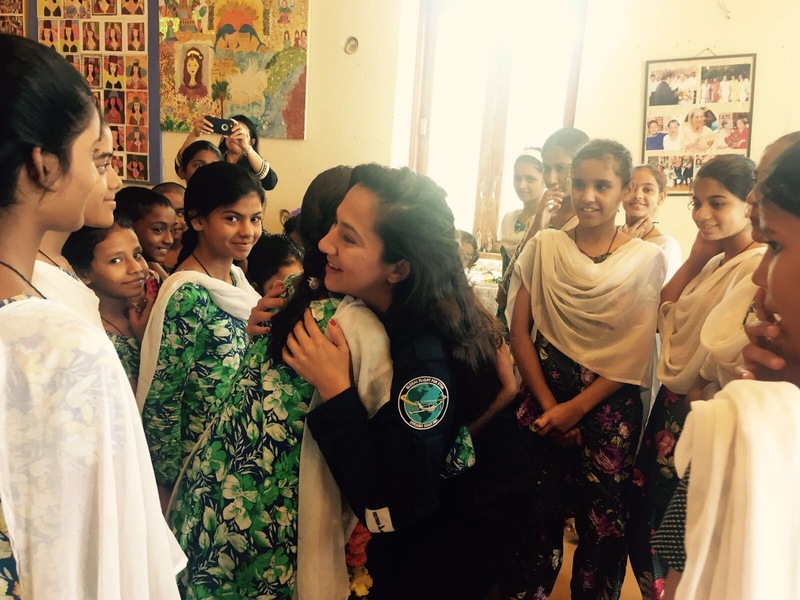 She spearheaded coordination of the two organizations that arranged lodging and transportation services for Dreams Soar for the duration of the outreach events, as well as helping to lead the events in Mumbai. Thank you WAI India chapter and Bird Group for making dreams soar, and a special thank you to Noopurr Chablani and Sujata Mariwalla as they both ensured Shaesta and Lyndse had the most comfortable, friendly stay in Mumbai! It was a rainy day in Mumbai, as monsoon season takes reigns on the region. Although gloom in weather, the spirits of the Dreams Soar and Honeywell teams were high, excited to meet the 40 plus girls awaiting their arrival at the orphanage. No one prepared them for what they were about to experience, feel or encounter during their visit. 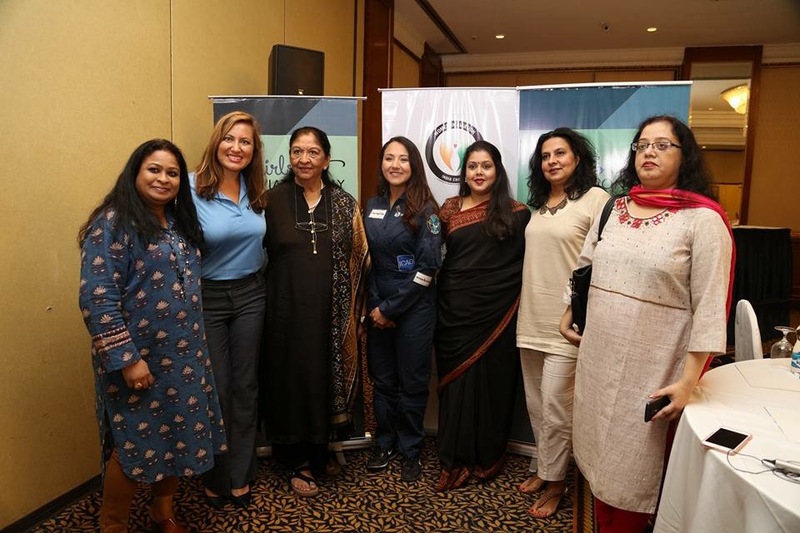 Shaesta and Lyndse, in concert with Mrs. Neelu Khatri, President of Honeywell India, and Almitra Kika, U.S. Consulate Public Affairs office, arrived and their hearts immediately were touched like none other. 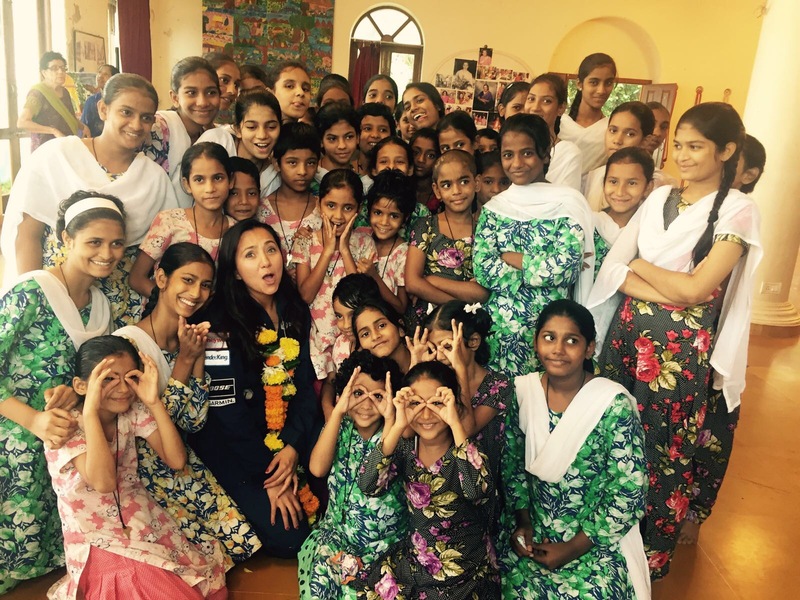 “The expressions on the faces of these beautiful girls immediately touched my heart, as they greeted us on the steps outside the orphanage with excitement, with hope in their eyes,” Shaesta shared. As the team entered with the children leading and following, they were shown all the amazing, colorful projects collectively created by the girls. Art is simply ‘expressive conversation’ and displays of emotions. You can see the passion, love and teamwork pulled together to make these pieces of art their own! The girls were so enthusiastic to meet Shaesta, one of the first times a female pilot visited with them in their entire lives. 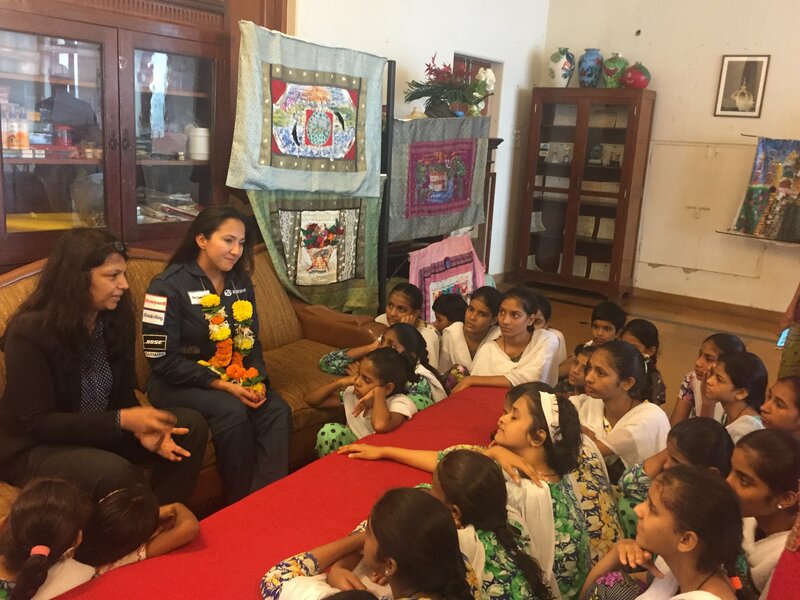 Having such presence by Mrs. Khatri, a woman with an inspiring story of ‘breaking barriers’ and pushing the envelope, was absolutely fitting with our mission, and global partnership with Honeywell Aerospace. 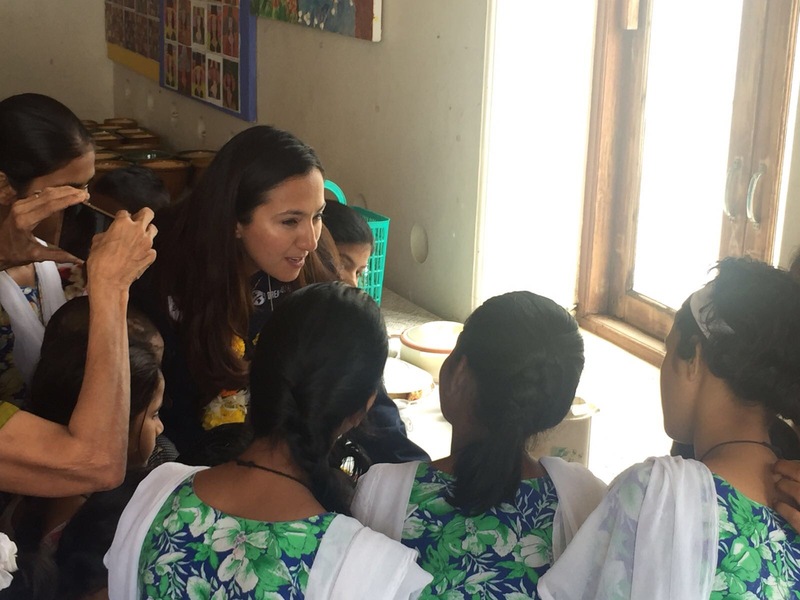 “The girls grouped around us the entire visit and did not want to let go. 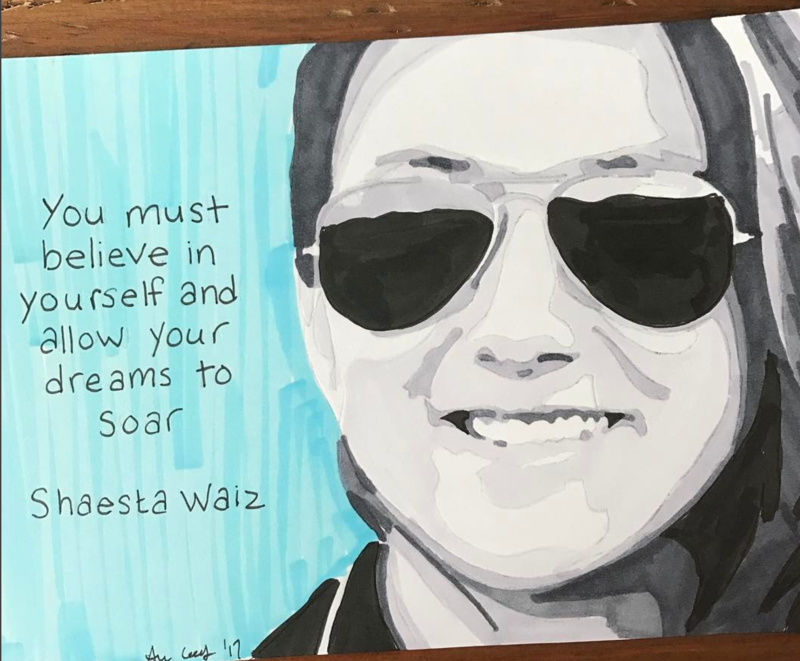 They were intrigued by Shaesta’s story of struggle, limiting cultural traditions, financial burdens, having followed her dreams toward flight,” said Lyndse. 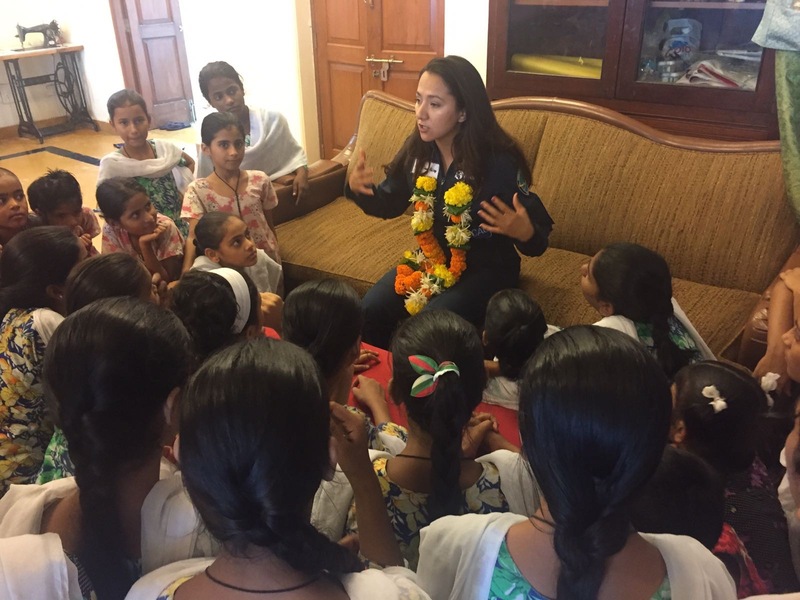 Everyone watched closely when Shaesta and Mrs. Khatri both sat before the girls to help them realize their dreams, aspirations and passions. Some of these girls expressed interest in art, science, biology, social work, design, aviation and engineering. They asked hundreds of questions and there was one thing this team did not have: time. This visit was too short, so short that Dreams Soar plans to return to help empower these courageous, beautiful souls and help ensure their dreams see reality. “We had to leave, however our emotions carry throughout our days, as the imprint these young ladies left on us are not to be forgotten,” Lyndse added. 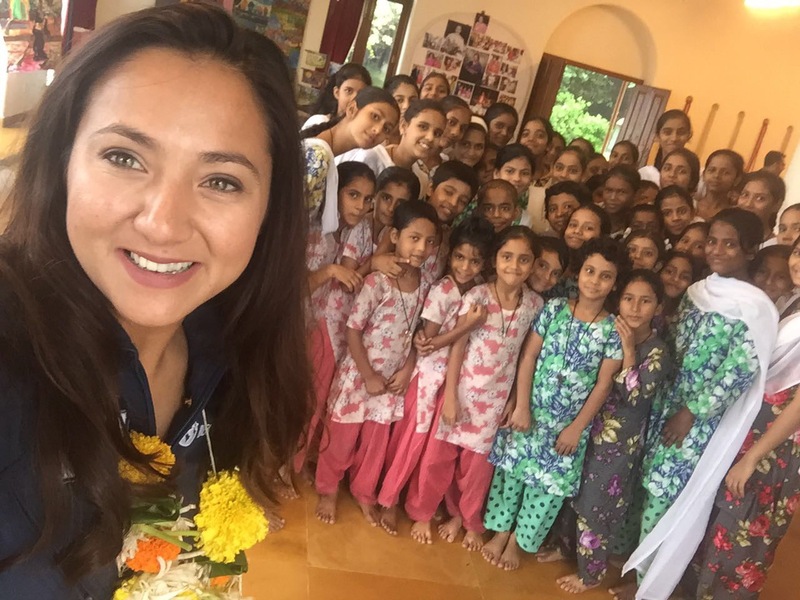 “Interacting with young girls and dreams in their eyes is such a wonderful experience. It’s not only humbling to listen to their stories but delightful to hear about their aspirations. I feel deeply honored to be able to work with them even if in the smallest way possible. 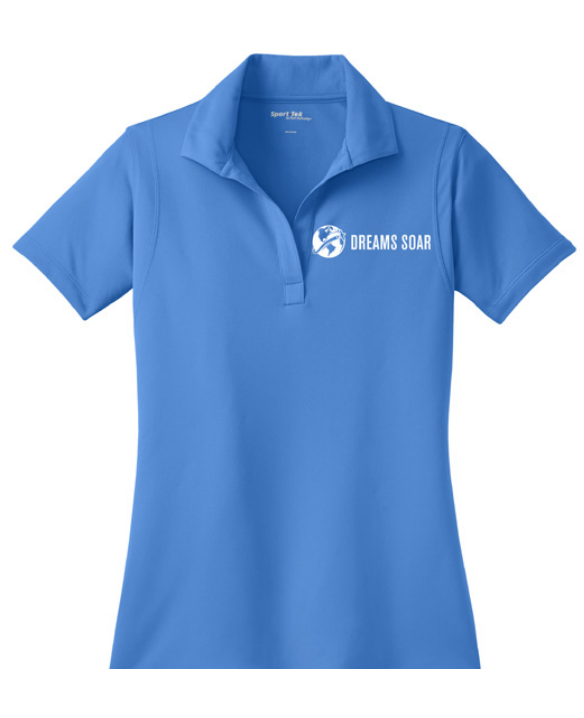 A huge thanks to Shaesta and the Dreams Soar team to have touched the girls in such a meaningful way,” expressed Almitra. Dreams Soar’s realization after this visit shows we have much more work to do, and we have not even covered the whole globe. Children everywhere need hope, praise, compassion, a sense of direction and a ‘push’ to see their goals and dreams take flight. We are proud of the work community partners are doing to support children in their country, and we will continue to spend our time and efforts making resources available for youth globally to pursue STEM and aviation education. 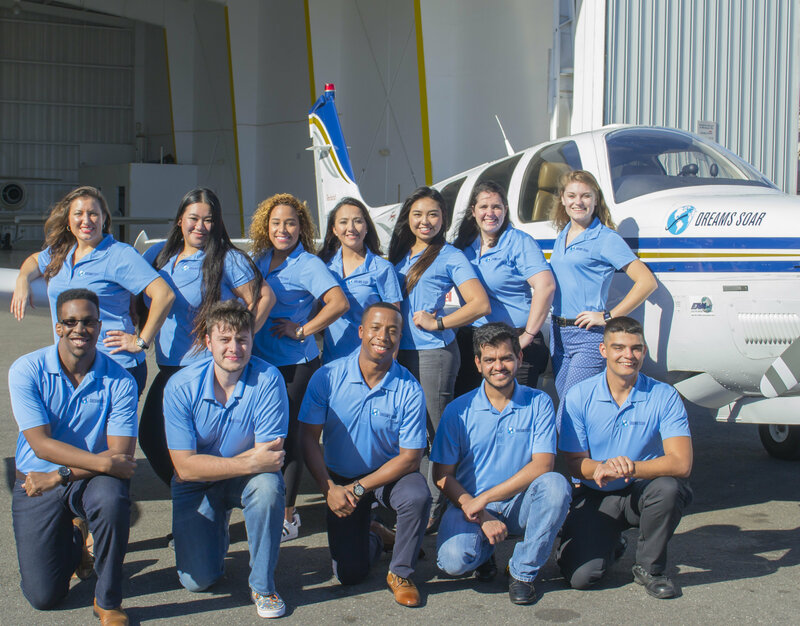 Dreams Soar’s partnership with Honeywell Aerospace is strong, meaningful and daily. 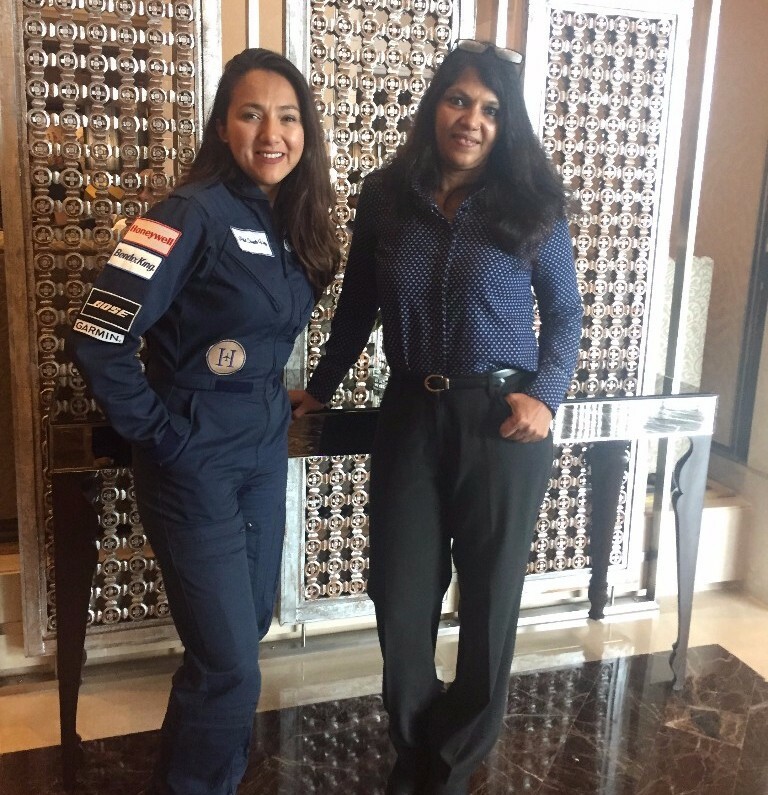 In Mumbai, President of Honeywell Aerospace – India, Neelu Khatri, flew in from New Delhi to support the outreach efforts and several media interviews to support exposing STEM and aviation to youth in India. “Meeting Shaesta was a wonderful experience. She is woman of substance with an undeterred can-do attitude. I felt touched with her perseverance and motivated with her passion to inspire our next generation of engineers, innovators and scientists. 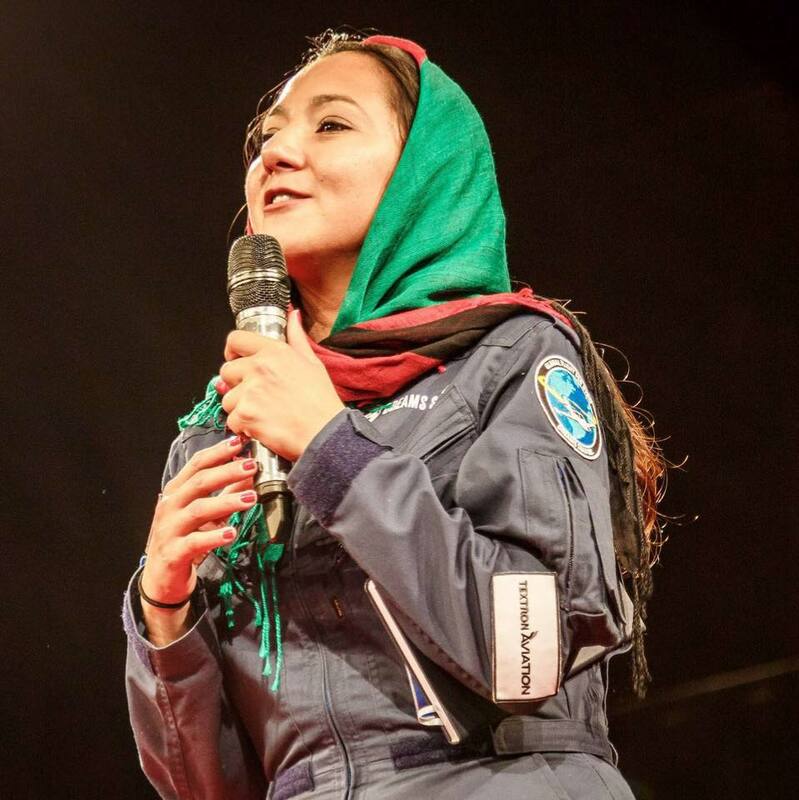 She very well complements Honeywell’s commitment to STEM education and wish her great luck and happy landings,” Khatri shared. We are honored by Neelu’s involvement in Mumbia, and look forward to the work ahead together. 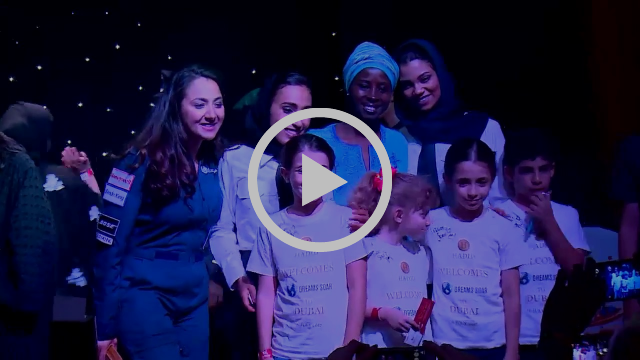 Check out this video created by the General Civil Aviation Authority highlighting the outreach event at Kidzania! 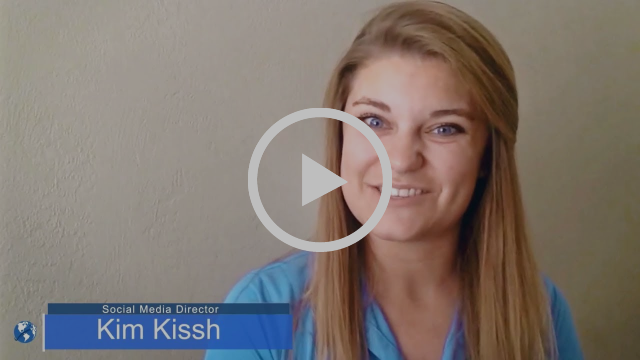 Kim Kissh, a member of our Dream Team sits down to thank you for partnering with us recently on two amazing days of outreach through Shaesta’s visit, inspiring young women and minorities in your beautiful city. Your warm welcome, overwhelming excitement, and passion for the Dreams Soar mission made this outreach stop successful! We honor you, and we look forward to seeing you again. 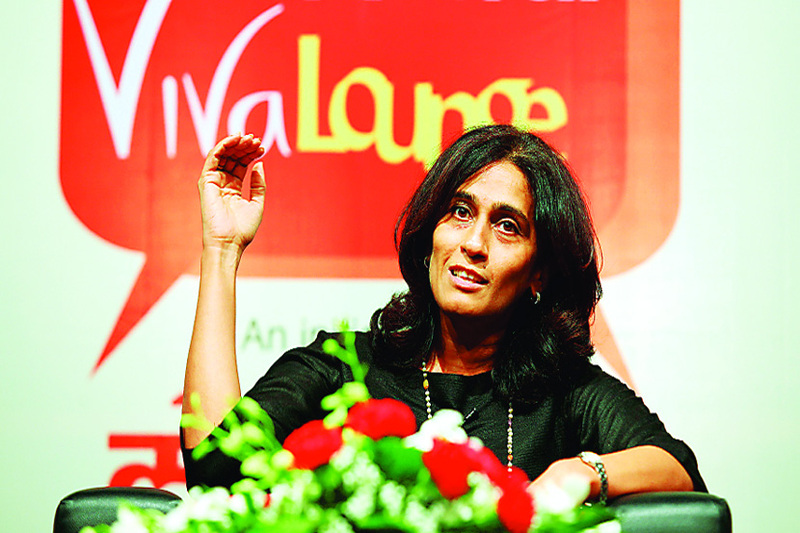 Vidita Vaidya is an Indian neuroscientist and professor at Tata Institute of Fundamental Research in Mumbai, India. Her studies consist of analyzing behavioral patterns and different functions of the brain that control emotion. At the age of 29, she joined the Department of Biological Sciences where she held the position of Principal Investigator and was recently awarded the Shanti Swarup Bhatnagar Prize in 2015. Vidita’s work has shed light on topics such as brain circuitry and how each human has a different personality, though all our brains have the same “architecture”. She also has various studies on why antidepressants do not work and how earlier cases of trauma can affect one’s behavior later in life. 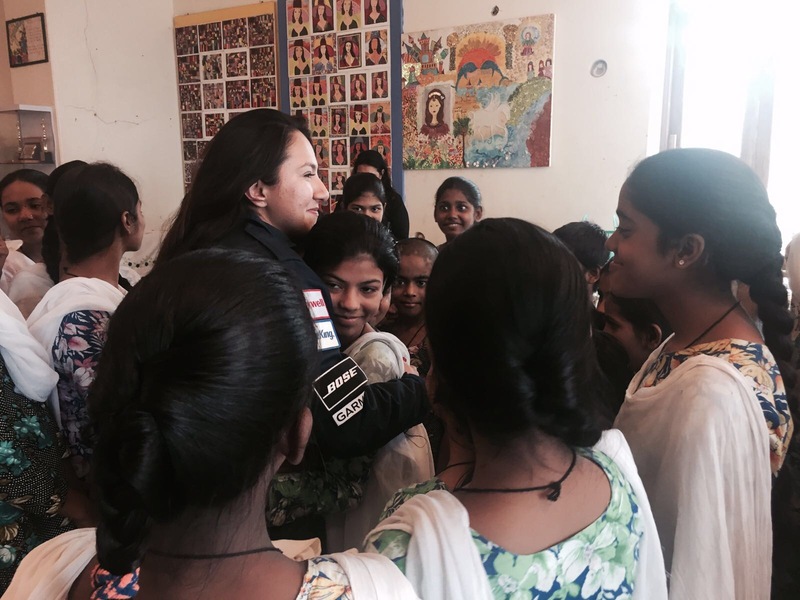 Vidita is breaking barriers in India, paving the way for future girls to desire and work in STEM careers. The tracking board is running close as the Dream Team Fundraising Competition continues! So far, hundreds of dollars have been raised during this competition. This coming week consists of family members joining in and posting on behalf of their wonderful family or friend who is a part of the Dream Team. Stay tuned for what’s next up for the Dream Team! Prince George’s Community College in Largo, Md, held a summer camp that led a group of middle and high school students in a 5-week program that taught STEM and STEAM fundamentals. This exceptional group of students were introduced to computer programming and prevention of cyber attacks. Mesina, an upcoming 11th grader, created this program’s first ‘Hackathon’ that challenged the students to utilize what they learned over the 5-weeks. They were asked a series of questions and if answered correctly they prevented their system from being hacked. However, if answered incorrectly, their system would be hacked and they would lose the game. Read more about this program here! 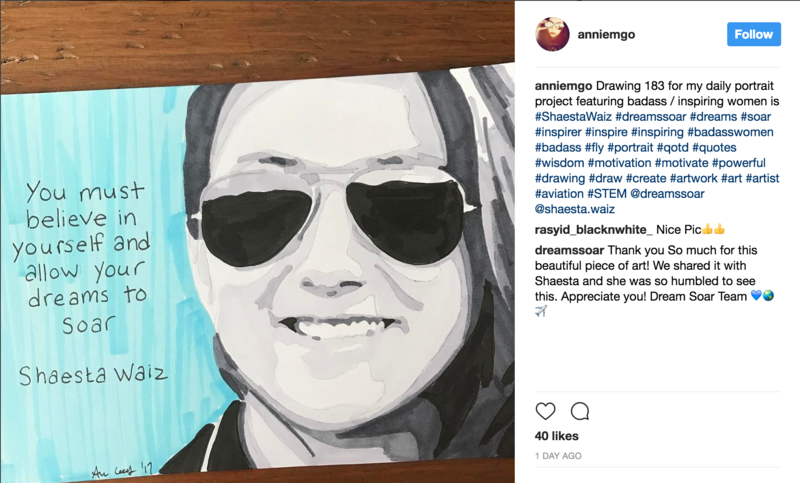 Thank you to Instagram user @anniemgo for featuring Shaesta for her art series about inspirational women. Check out some of her other great work here!